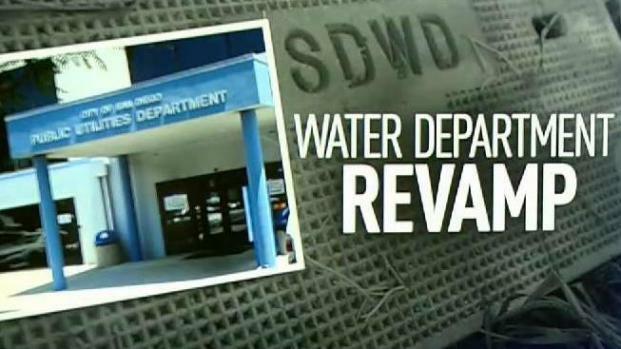 A former San Diego Water Department Supervisor tells NBC 7 Responds and Voice of San Diego that employees were blamed for management’s problems. A 36-year former supervisor of San Diego’s Water Department is speaking out about what he says is a department in ruins. Tony Leyva said the inexperience among management resulted in turmoil and disorder and even led to the department seeking help from high school students. Leyva discussed the problems with NBC 7 Responds and media partner Voice of San Diego. San Diego Water Department directors will appear at a March 20 city council committee meeting to give an update on wide-ranging departmental changes as a result of two critical city audits. The two audits, one on the rash of high water bills and the other on a major backlog of broken meter boxes and lids, were released last year. Both audits blamed crews out in the field for the department’s problems. But Leyva said San Diego’s Mayor, as well as the public, have only heard a fraction of the real story. “I’m speaking for a lot of people who asked me to speak up for them,” said Leyva. 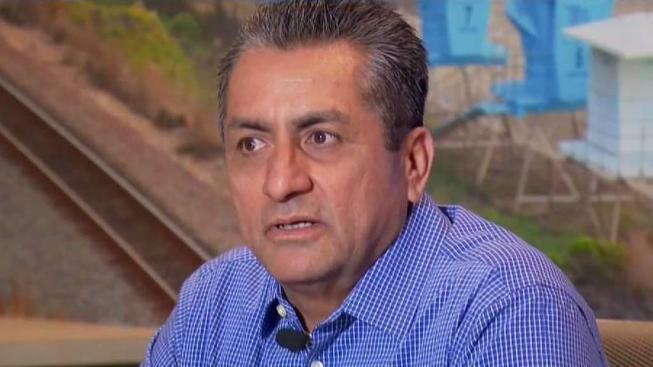 Tony Leyva worked for the San Diego Public Utilities Department for 36 years before he was terminated in 2018. He has filed a lawsuit against the city and is trying to get his job back. Leyva said he was fired from his position last year after blowing the whistle on mismanagement inside the department. He has since filed a lawsuit in hopes of getting his job back. “The direction that we’ve taken since 2016 has been close to disastrous,” Leyva says. The first audit, released in the summer of 2018, dealt with thousands of customers who complained they were being overcharged for water across the city. In a February 2018 news conference, former Public Utilities Department Director Vic Bianes blamed one errant meter reader for hundreds of unexpectedly high bills. “I’ll basically state that we have human error, where people enter in the meter reads and that may have caused what happened here,” said then-director Bianes. Months later, Bianes abruptly announced his resignation from the position. Leyva, however, recalls differently. He said a major reason behind so many complaints about bills came down to a decision made by management to extend the last bi-monthly billing period of 2017 from 60 to 70 days. Leyva said he and others voiced concerns about this plan beforehand but management went forward with it anyway. In response to high water bill complaints, Mayor Kevin Faulconer sought to ease customer worries by promising to have every water meter in the city re-read by April 2018. Leyva says that in order to fulfill that promise, the Public Utilities Department used high school students to tag alongside water meter readers and hang notices on customer doors. In a statement, San Diego’s communications director Katie Keach confirmed that high schoolers were used but said this was nothing new. "It is a customary practice for students to job shadow City employees in departments including Public Utilities,” said Keach. “While job shadowing employees in the meter reading section, students from several schools were allowed to place door hangers for customers whose meters were read." A former employee of the city's Water Department told NBC 7's Consumer Bob that crews were set up to fail by the department's management. Departmental dysfunction can be traced back to 2016, according to Leyva. In 2016, Leyva said meter readers had set routes that they would do each day, much like mail carriers. But that year, Leyva said managers decided to change the routes for all meter readers, requiring employees to work each route on a rotating basis. Doing so, said Leyva, caused delays and long work days as some readers were unable to find meter boxes. Leyva said he and other meter readers met with upper management about the problems they were facing after their routes were rotated but nothing came of it. Water meter readers were also blamed in a city audit that found a backlog of more than 25,000 water meter boxes and lids across the city. The auditor said crews cared more about socializing in the yard than changing cracked lids and splintered boxes. The auditor said crews were encouraged to socialize for three hours before leaving the work yard to start their routes. Leyva said the real reason for the backlog is managers often ordered the wrong-sized lids and different style of boxes. Instead of socializing, Leyva said crews were spending hours in the field shaving down lids in order to make them work and forcing boxes to fit in ill-fitting holes. “I went out with crews that had 30 work orders and they went to 30 stops but were only able to replace two or three boxes or lids,” Leyva added. When crews did manage to get the lids and boxes in, Leyva said the end result often posed a safety hazard for pedestrians and for meter readers. NBC 7 Responds spoke to one woman who said an ill-fitting lid caused her to fall and break several of her teeth. She has since filed suit against the city. Leyva said the mismatched lids and boxes also posed risk to meter readers as well. 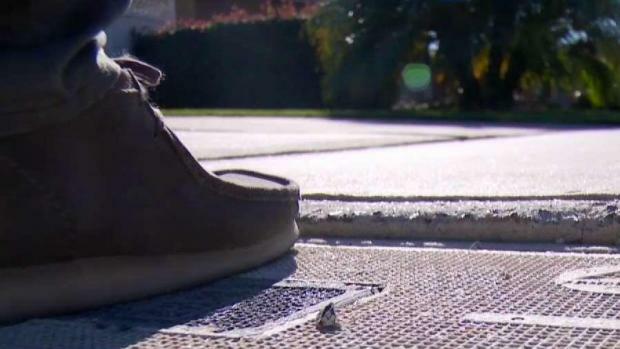 At one point, Leyva said more than three-quarters of the city’s meter reading staff were injured or on “light-duty.” Keach told NBC 7 Responds as of Feb. 2, 2019, 11 out of 39 employees were on light or modified duty or were off work altogether. Following high water bills and complaints of a lack of transparency, the city announced a major shake-up in the water department's management. NBC 7's Consumer Bob has more. In February, the city of San Diego announced a major shake-up within the Public Utilities Department. In addition to the departures of five department directors and supervisors, the city said they were restructuring the department’s management structure, including the division that oversees water meter reading and the city’s smart meter or advanced metering infrastructure (AMI) program. Keach said those changes, and the city’s response to changes recommended by the city auditor, is a sign of the department heading in a new direction. So far, Keach said the Public Utilities Department has completed 80 percent of the City Auditor recommendations and are on target to complete them all by the end of June 2019. Two more auditor reviews are underway: one looking into the city’s $67-million smart water meter program and the second looking into customer service. According to the City Auditor’s office, those reviews are expected to be completed by the end of June 2019. NBC 7 Responds and Voice of San Diego have investigated the city’s Public Utilities Department for more than a year and uncovered evidence of problems with the city’s smart meter program, including mismatched meters, program glitches, as well as customer service issues. The findings were highlighted in a 30-minute special titled “Flood of Distrust,” to watch the special click here or watch part one below. Part I of Flood of Distrust, an NBC 7 Responds Special.